“Thanks you and he loves everyone, and he knows how powerful the movement is, that stands behind him. And that the prison knows that people have his back, and that is very important”. 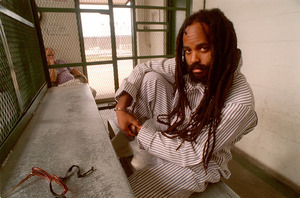 For Mumia Abu-Jamal to get out of prison his criminal conviction needs to be challenged and overturned. The newest chapter in this struggle took place in the Common Pleas Courts of Philadelphia before Judge Leon Tucker. 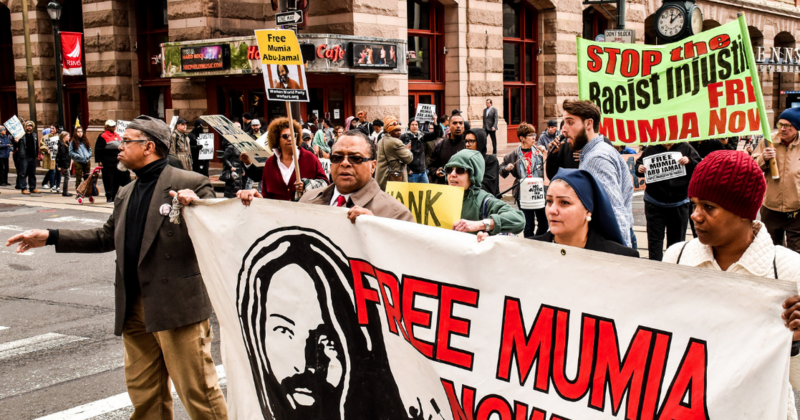 On April 24th, 2017 in room 805 Christina Swarns of the NAACP LDF, and Judith Ritter of Widner appeared before the court to argue that a new Supreme Court ruling required the reinstatement of Mumia’s appellate rights. On the other side Ronald Eisenberg, Deputy DA argued for the Commonwealth. It began when the U.S. Supreme Court declared unconstitutional the former Philadelphia DA and PA Supreme Court Justice Ronald Castille’s practice of sitting in judgement on his own cases; the cases where he was a prosecutor and DA. In Williams v. the Commonwealth the Supreme Court ordered a new trial because Castille was obligated in the interest of justice and fairness to recuse himself from these appeals. Christina Swarns argued the case for 45mins, with the goal of getting Judge Tucker to order the District Attorney’s office to produce discovery i.e. the prosecutorial files in this case. If turned over, these files will undoubtedly establish that Castille was intimately involved in Mumia’s case as supervisory ADA during his trial and DA during all of his appeals. Swarns put on the record that the DA’s office had lied to the court regarding the “lack of involvement” of Castille in similar cases, and was rebuked by the U.S. Supreme court because of it. 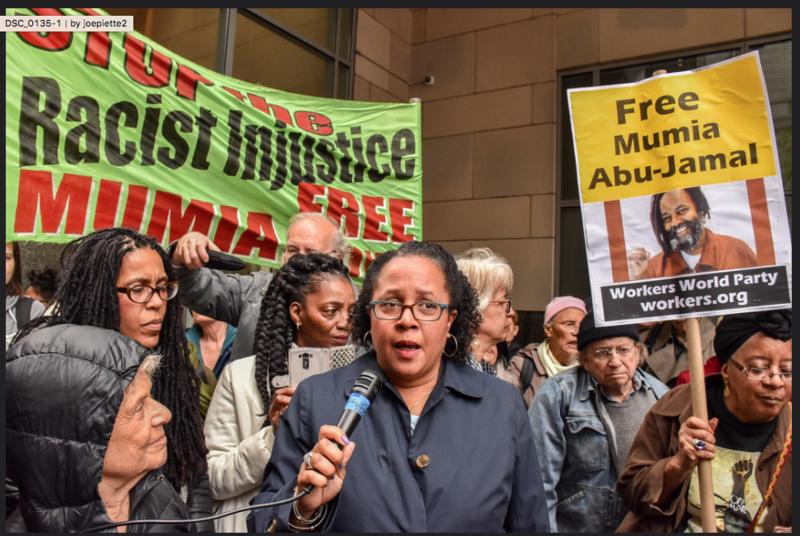 Notably, the judge asked the DA Eisenberg, that if the time bar and the retroactivity claim were met, would Mumia Abu-Jamal be entitled to relief. Eisenberg agree, saying yes, Mumia’s appellate rights would be reinstated. There is no doubt that the district attorney’s office will appeal to PA Superior Court and the PA Supreme Court if discovery on this issue is granted. Christina Swarns, Litigating Director of the NAACP Legal Defense & Education Fund, co-representing Mumia in court. 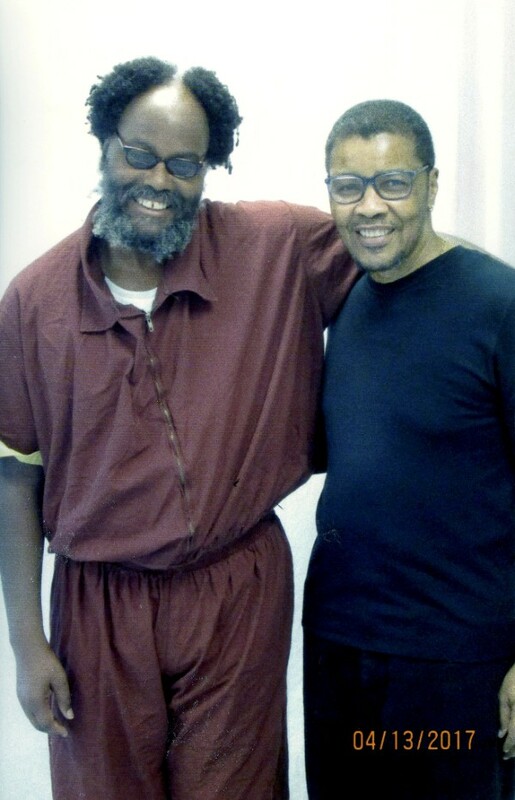 Mumia with his brother, Keith Cook. 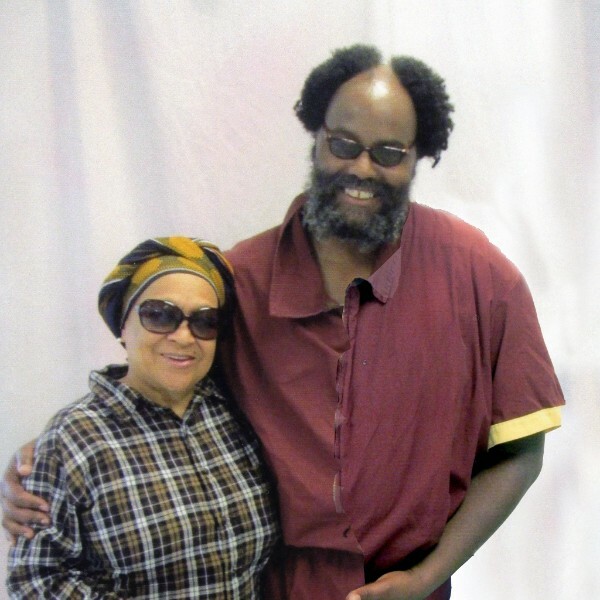 It was Mumia’s birthday on April 24th, and Keith’s birthday on April 26th.